Thanks to Datarecovery.com, for alerting us to this issue. 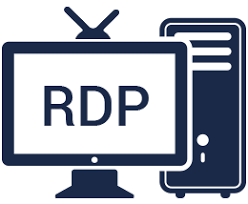 They have seen a high number RDP (Remote Desktop Protocol) attacks lately. Generally, these attacks are targeting Microsoft Windows-based servers, where port 3389 has been left open. The attacker scans for open port 3389, and then uses a password dictionary attack to break the server password. Once the password is found, the attacker can exploit the server or sell access to the server to other cyber-criminals, who can use your server as part of a botnet, for data storage, data exfiltration, bit-coin mining, or for other exploits. Often, the attacker steals information on the server, and then installs ransomware. A demand for payment is requested, the ransom may be for $20,000 or more. Not only is the victim locked out their files, but all information on the server is compromised and can be re-sold. To prevent falling victim to this attack, you should close all unnecessary access to the server by closing unneeded ports an external firewall. Using an active firewall with real-time threat protection is also highly recommended. If RDP is needed, then the firewall should be configured to only accept connections from known IP addresses. Or better yet, ditch RDP in favor of VPN. Many victims think that their servers are already configured in this way, only to learn of the vulnerability after they’ve been compromised. If you discover that your servers are open to RDP from the Internet, Data Recovery recommends backing up your data, and then migrating to another server, because it’s difficult to be sure that the server is not already compromised.